HDD Mud system is also one of the main business from GN Solids Control, for quite a while, that is how we made ourselves different, we make compact HDD mud systems for different clients, flexible to customize, and with more and more experience, now we got several standard systems meet most of the requirements. 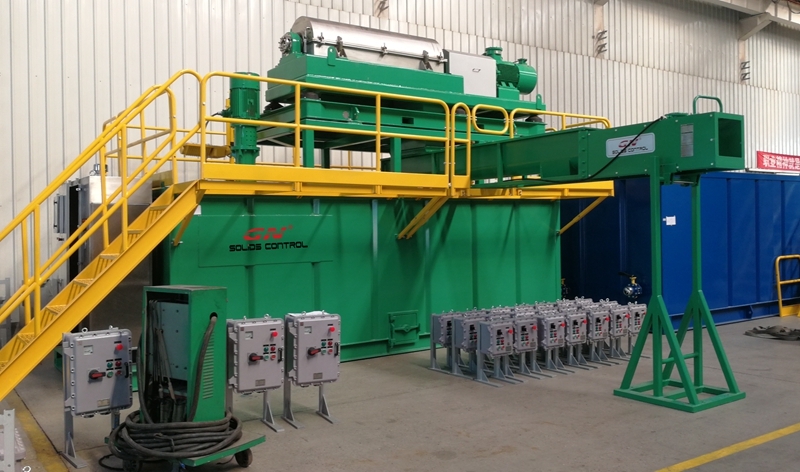 Recently we sent out 3sets of HDD mud recycling systems. Two Sets 500GPM Trenchless Mud Recycler for HDD Company in India, and 1 HDD Mud Recycling and Dewatering Unit for Sinopec. A standard self-contained trenchless mud recycler is consisting of mud recycling equipment, mud mixing equipment and mud collection tank. Different from the mud recycler in oil gas drilling industry, the trenchless drilling will discharge the dirty mud back to mud pit on the ground firstly, then use a vertical installed submersible slurry pump to transfer the mud to mud recycler system. 1. Shale shaker GNZS703F is the first stage separation equipment to remove the coarse solids. 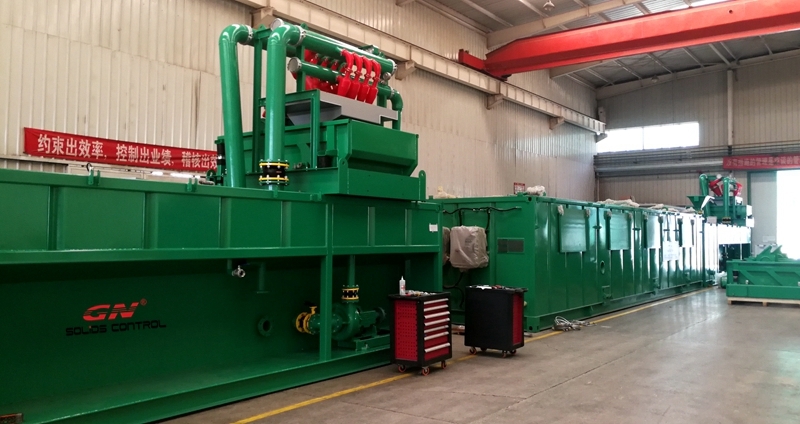 GNZS03F is the latest version shale shaker in GN production line. This model shale shaker is with 3 panel composite frame shaker screen that is fastened by using ratchet spanner, easily and fast. 2. GNZJ703F-1S8N mud cleaner is combination unit of desander and desilter. The mud cleaner under shaker is the same model GNZS703F. Normally, GN use same model shale shaker for easy future maintenance. 2 units centrifugal pump are equipped in the system for feeding the drilling mud to the hydrocyclone units for smaller sand and silt separation. Decanter centrifuge GNLW363C-VFD is last stage separation equipment for fine solids separation. After several time recycling, there will be much fine solids in the drilling mud. The centrifuge is used to remove the fine solids to ensure the property of the drilling mud. Decanter centrifugeis fixed on a collecting tank with 4 supporting legs. Liquid is flow into the tank and solids will be collected by the screw conveyor and transferred out of the system.